For the second meeting of the NFL and AFL champions in a game now tentatively called the Super Bowl, the pro football world took its newest show from the palm trees of Los Angeles to the golden white beaches of Miami, Florida. 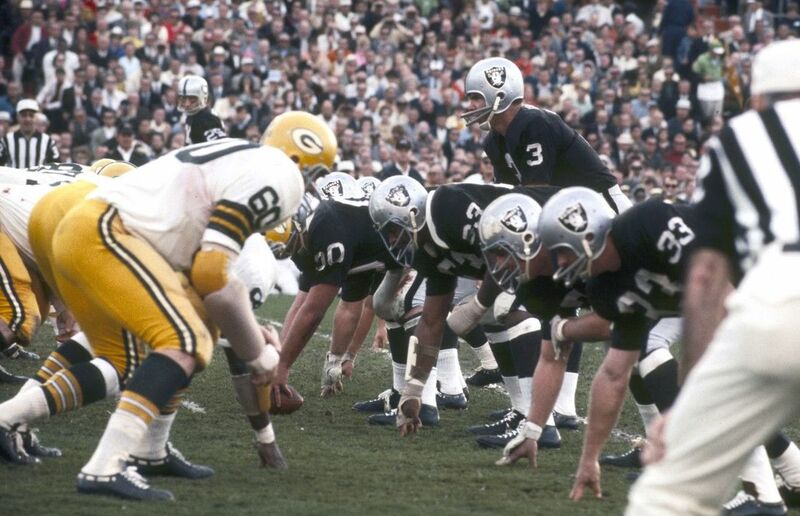 And although the Green Bay Packers team was far from the team that had assumed control over Kansas City a year earlier, they were still heavily favoured over the Oakland Raiders, despite the Raiders 13-1 regular season record and their 40-7 victory over the Houston Oilers in the AFL Championship game. 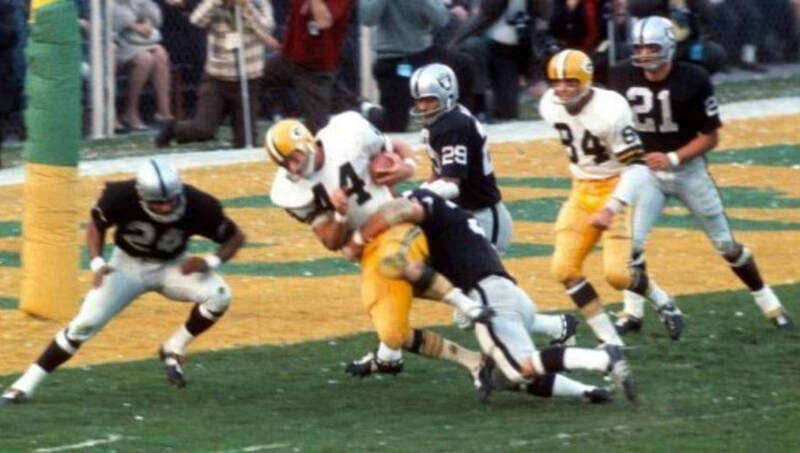 While the Chiefs had managed to put up a response to the Packers the year prior, the Raiders were never effectively in Super Bowl II, going down 13-0 before they found the end-zone late in the first half, and 33-7 before they scored their final points as the game drew to a close. 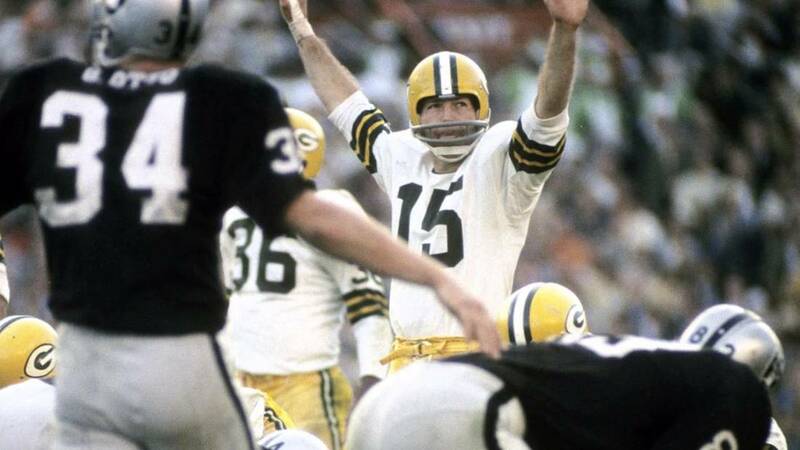 Once again, Green Bay field general, Bart Starr, was named the contest's MVP, as he completed 13 of 24 passes for 202 yards and a touchdown strike. There was much more of a buzz surrounding the second AFL-NFL Championship Game, now being referred to by some as the Super Bowl. Green Bay Packers' quarterback, Bart Starr, won his second Super Bowl MVP award. Halftime Show: Grambling University Marching Band. 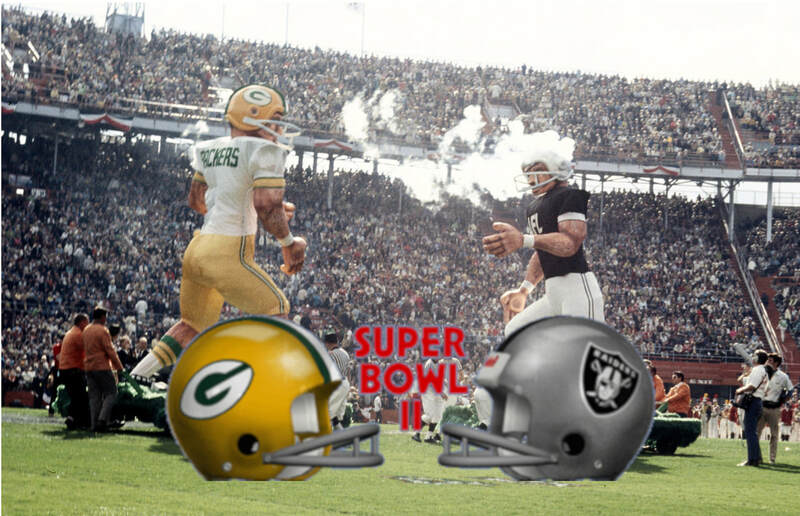 Super Bowl II was Vince Lombardi's last as head coach of his beloved Green Bay Packers. 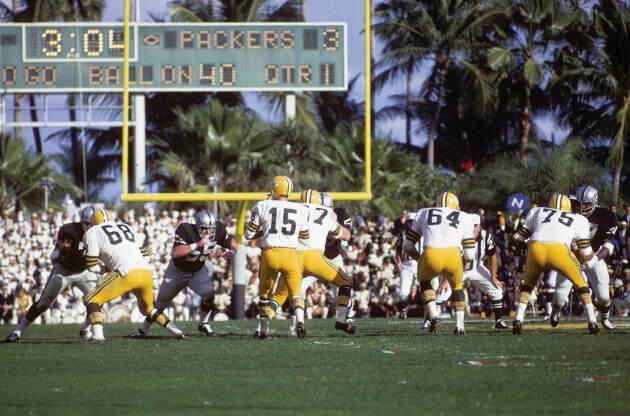 Before the Green Bay Packers even set foot on the field of the Orange Bowl in Miami for the second Super Sunday in NFL history, they were coming off a victory that not only ensured their place in NFL history as the first team to win three consecutive NFL championships, but the contest itself - the Ice Bowl - against the Dallas Cowboys in below freezing conditions, was already considered one of the greatest contests of all-time. Not only were both of the Oakland Raiders' touchdowns scored by the same person in Ben Miller, both scores came on 23-yard touchdown strikes. A little known (at the time) assistant coach of the Oakland Raiders, John Madden, patrolled the sidelines that afternoon in Miami. He would take over as head coach of the Raiders in 1969, and arguably lead the team to their most successful era in the NFL. Bizarrely, despite the Orange Bowl being sold out, the NFL had strict "blackout" rules regarding TV broadcasts at the time. Because of this, the game was not broadcast live in the Miami area. ​The contest would prove to be the last for Vince Lombardi as head coach of the Green Bay Packers, a team he had guided from the doldrums of the National Football League in 1959, to arguably the team of the decade for the 1960s. You can view/listen to his Super Bowl II post-game speech, and his resignation speech below. Green Bay Packers' running back, Donny Anderson rumbles over the goal line for a touchdown. For the first and only time in Super Bowl history, the game was played in the same location for consecutive years as Miami's Orange Bowl hosted the much more anticipated third Super Bowl game. However, that wasn't the eventual lasting memory of the game. The fact that an AFL team had come out victorious was. The fact that New York Jets quarterback "guaranteed" the victory was (now) merely the icing.